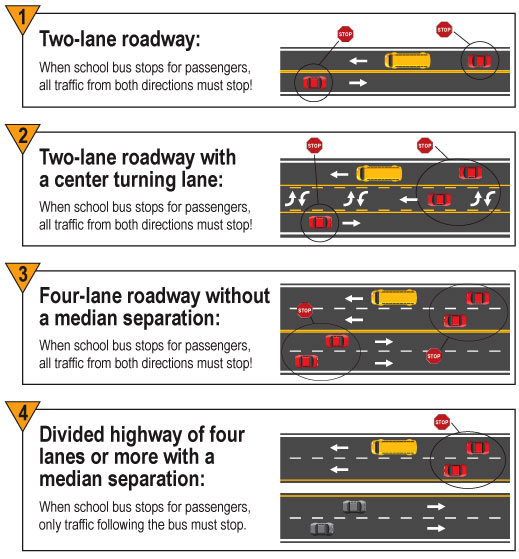 Thank you to all motorist, bicyclists, and buggy drivers for knowing and following school bus stop arm laws. Keeping students safe is a responsibility shared by the entire Wa-Nee Community. Red flashing lights and extended stop arms indicate that the bus has stopped and children are getting on or off the bus. Motorists must stop their cars and wait until the red lights stop flashing, the extended stop sign is withdrawn, and the bus begins moving before they can start driving again. Visit the National Highway Traffic Safety Administration website for more information on school bus safety. Don't talk or text while driving! Go here for more safe driving tips.